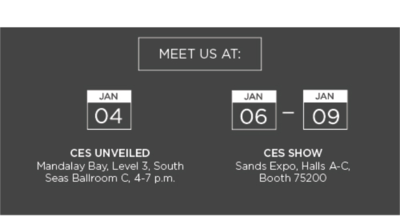 At the 2015 International CES in Las Vegas, Lima will introduce its new product that disrupts the 30-year-old paradigm of file storage on consumer electronic devices. 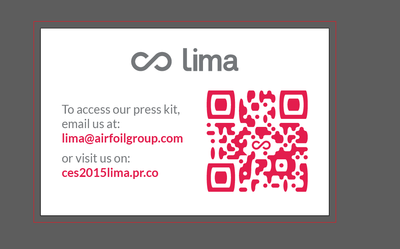 Lima is a CES Innovation Awards 2015 Honoree in two categories: Software and Mobile Apps and Computer Accessories. The award recognizes outstanding design and engineering in consumer technology products. Interested parties are invited to visit Lima’s booth at Sands – 75200 to see how users can finally enter the world of ubiquitous computing by having a continuous experience with their files across multiples devices, while keeping control over data at home. The unique product pairs a hardware adapter and a multi-platform upgrade for the computer and mobile devices so that they all show the same data, regardless of where the files were originally created. Users plug the adapter into a hard drive and their Internet router, then download the app on all their personal devices (laptops, tablets and smartphones). From that moment onwards, Lima will gather all the existing files from all these different devices and move them all into a unique storage on the hard drive at home. Devices will now all use exclusively this common storage instead of their own. The user will find the exact same content on all of his devices, since they all refer to the same storage, without adding a new interface and changing users’ habits. The engineering behind Lima creates a totally decentralized and private system, allowing devices to interact automatically with one another and does not require an external server. Communications between devices are secured with asymmetric cryptology. Additionally, with Lima, smaller devices are no longer limited to their own initial storage space as all devices are now the size of the hard drive attached to Lima (Lima supports to up to 8 TB). Lima is also compatible with all main operating systems (Mac, Windows, Linux, Android and iOS). Lima was launched through a Kickstarter campaign that raised more than $1.2 million and reached its funding goal in only 12 hours after launching. The company will be launching a beta program with its Kickstarter community and the first Lima devices will be shipped in January. For additional information contact [email protected] to book an appointment at their booth.